The lead article in the Health section of today's Washington Post searches for answers to explain the dramatic rise in the last few years in prescribing second-generation antipsychotic medications. The article, written in conjunction with Kaiser Health News, raises concerns about the increasing use of these powerful medications for unapproved uses such as for sleep problems, anxiety, attention-deficit/hyperactivity disorder, and dementia. Off-label prescribing of these drugs more than doubled from 1995 to 2008, the article notes. And it raises alarms in particular about their use with children. 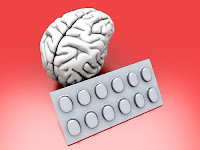 The article quotes APA Medical Director James H. Scully Jr., M.D., who said that he agrees that misuse of these drugs is a problem and that their use should depend on data showing their effectiveness for off-label uses, but that among psychiatrists, they are prescribed in a desire to find an effective treatment for serious, often debilitating conditions. "All of the meds we use have their limits," Scully said. "If you're trying to help somebody, you think, 'What else might I be able to do for them?' " Read the entire article here. For an in-depth review of antipsychotic medications in the treatment of mental illnesses, see The Evidence-Based Guide to Antipsychotic Medications, from American Psychiatric Publishing.